Jeep has just released the Jeep Wrangler Overland. THE rugged Jeep Wrangler has been given some creature comforts. 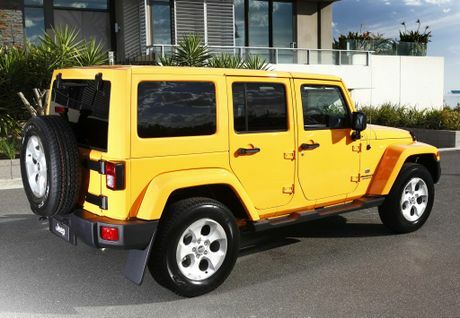 Jeep Australia has introduced the Wrangler Overland to its range with standard features including Uconnect Media Centre and navigation, reversing camera, leather upholstery and automatic headlights. Outside, the Overland gains new 18-inch polished sparkle silver alloys with Bridgestone Dueler tyres, and body-coloured flares and hard top. Prices start from $42,500 plus (on-roads) for the two-door version, while the four-door retails for $47,000. 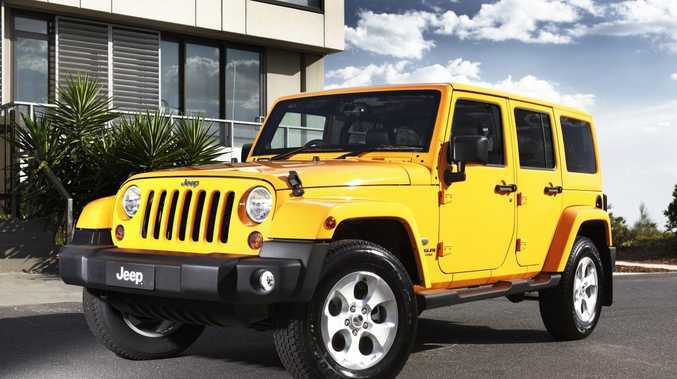 Unchanged is the Jeep Wrangler Overland's four-wheel drive prowess, along with the 3.6-litre Pentastar V6 petrol engine and five-speed automatic transmission. This package delivers 209kW at 6350rpm and 347Nm of torque at 4300rpm. Fuel consumption for the combined cycle is 11.7 litres/100 km.